Mayo Clinic endocrinologist and researcher Victor Montori, M.D., is leading a charge that he says can improve how patients everywhere are cared for. You can see it in the doctor who passes a precious keepsake on to a boy in a hospital bed; in a care team that dances for a woman facing radiation alone; in the couple that grows acres of gladiolas to give away. Love. Love is there in so many of the stories that find their way to us here at In the Loop, motivating the gestures, silly and solemn, that make such a difference to patients at Mayo Clinic. But it's not a word that gets used much in medical circles. Victor Montori, M.D., believes that needs to change. 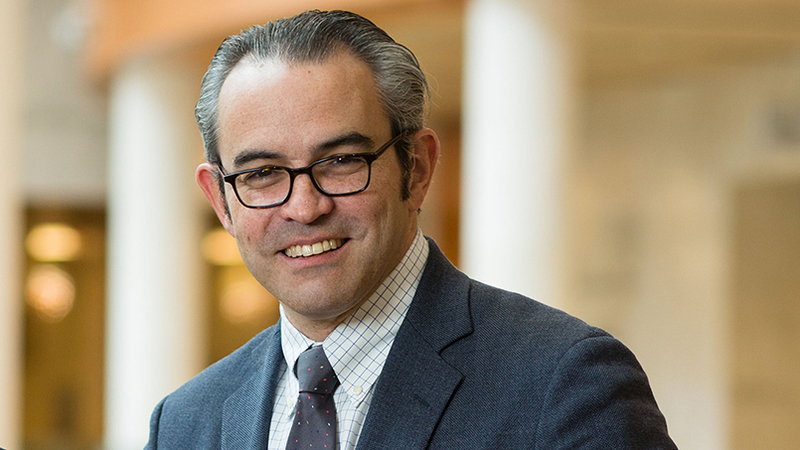 "The health system I envision is one of kindness, elegance and love," Dr. Montori, an endocrinologist and director of the Knowledge and Evaluation Research Unit at Mayo Clinic, tells Lown Institute. "We don't often use the word 'love' to describe the doctor-patient relationship, but when we take the time to be fully present and emotionally available with each other, this type of love is healing for both parties. We laugh with each other, we talk and connect, we cry. With love, clinicians can better understand their patient's situation and can begin to see the patient in high definition." Dr. Montori is leading a charge to help create that high-definition view, with the goal of improving care for patients everywhere (in other words, all of us). In addition to his work as a physician and researcher, he serves as co-founder and chair of the board of The Patient Revolution, a nonprofit that got its start at Mayo Clinic and continues to partner with Dr. Montori's research unit. The Patient Revolution is "working to develop tools, programs and resources that help patients, caregivers, communities and clinicians work towards health care that is careful and kind." All this talk about love and kindness may sound a little touchy-feely. But research shows it's actually concrete and heal-y. "Research has shown that caring — as opposed to just treatment — eases suffering and pain, and may lead to better health and longer life," Shannon Brownlee writes in a Washington Monthly article about Dr. Montori's work, including his book, Why We Revolt: A patient revolution for careful and kind care. "Patients who feel cared for are more likely to follow their treatment regimens and engage with their doctors in making decisions." You can learn more about how to join the patient revolution here. Then join the conversation and leave a comment below before using the handy social media tools atop this page to share this story with others. Learn more about the Knowledge and Evaluation Research Unit.